Thistle Du Florist delight in wedding flowers. Crafted for that special day, your choice of florist can have a huge impact on the look and feel of your Wedding. We at Thistle Du Florist understand the importance of that role. Every Wedding is of course different – which is why we ask to spend some time with you in order to select the perfect wedding flower arrangements.  Whether you desire a classical English country style Wedding or flowers to suit a modern elegant design Thistle Du Florist pride ourselves on offering a truly bespoke flower service to suit your personality, style and budget. We invite you to call us on 01560 428 021 or contact us via Thistleduflorist@hotmail.com to arrange a wedding consultation. Or better yet why not visit us in our Darvel store where our friendly staff are look forward to meeting you.